Well, it's Wednesday, the last of my 4 days off, and we have snow... slight snow, barely covering the ground. Last week they said 1-3 inches and we ended up with over 6. This time they said we might get more than 6 and... well... we might get about 1/2 inch. Forecasters had said we'd have snow from midnight last night until midnight tonight... now they're saying this weather event will be over sometime this afternoon. Ooops. There goes my free cardio. The Idiot Jerk's administration lost another one, some guy named Cohn, and the hardliners are doing the happy dance. Even when these fools look in the mirror and see pure stupidity they fail to understand. Their economic plans are based on 80 year old models, or I suppose, to be more precise, they want things to go back to the way they were 80 years ago. They think by setting up vintage trade policies they can turn back time, that the world will give them what they want; not going to happen. They will never understand. So, what do you do when those in charge fail to comprehend reality? You take them out of power, give them jobs more suited to their capacities, like caddies. I'm sure these people would find driving around in a golf cart and fetching balls rather fun. 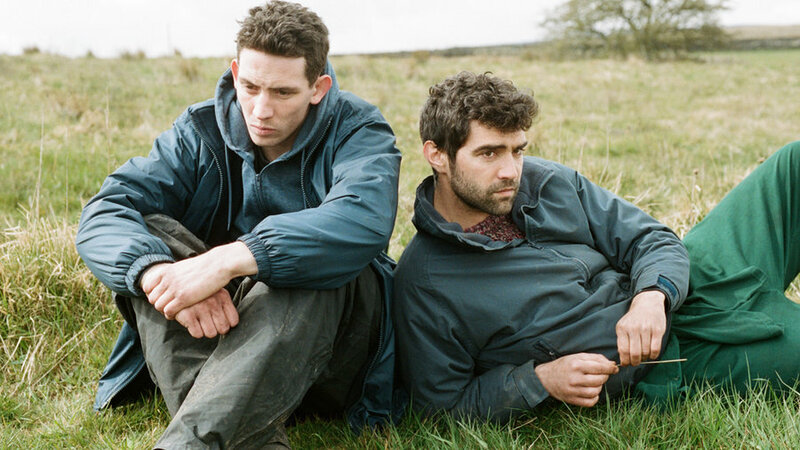 I started watching "God's Own Country" last evening. Inevitably I started making comparisons to "Brokeback Mountain," which isn't really fair. I stopped it after about 40 minutes and will watch the rest... maybe later today. I also want to get out the steamer and start taking down the boarder in the dining room. It should come down fast. I do wish it were sunnier out, of course, we are approaching spring; a drizzly, rainy time of year. both RTG and I have off work today; we are in the 6-10 inch snow band. snowing pretty damn heavy here right now. So far he's the only bright spot. We too got about 8-10 in Bucks County. For a while it was coming down about an inch an hour, almost complete white out. It has ended and I guess we got about 8". Cold here;alas no snow this year.Damn! Non here, either, which is nice. My tulips are pushing up fast.